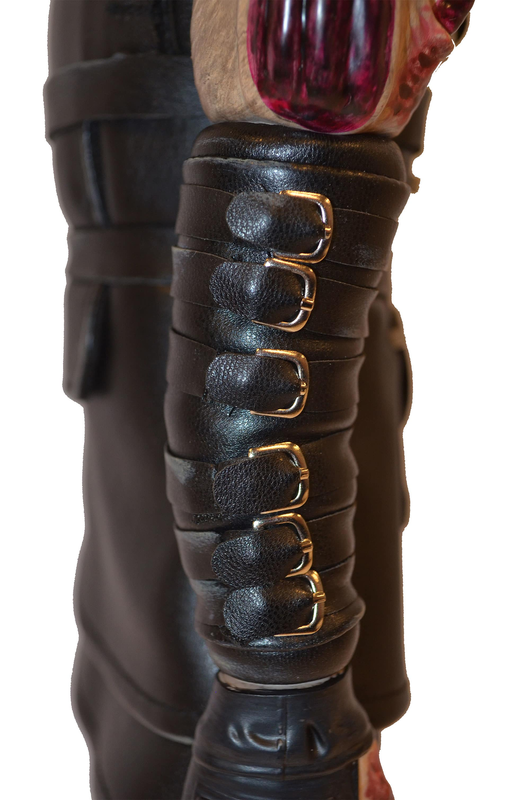 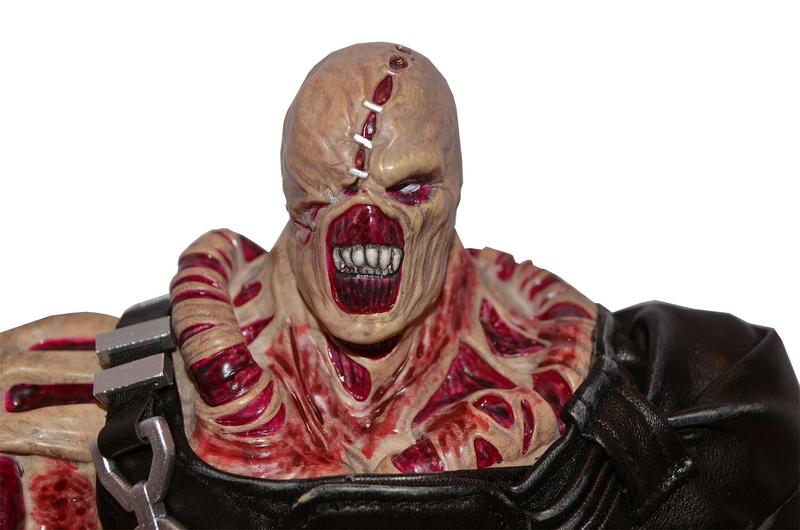 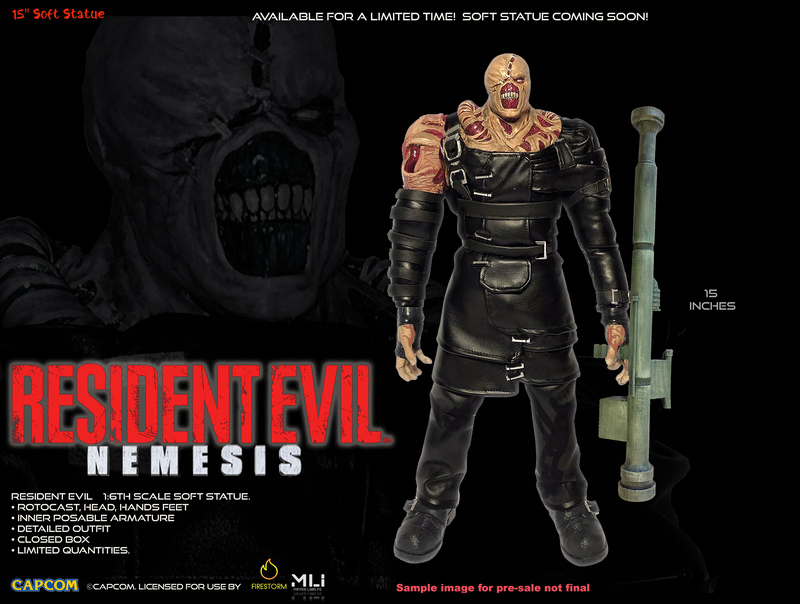 Relive the Horror with this Resident Evil Nemesis 15" Soft Statue. 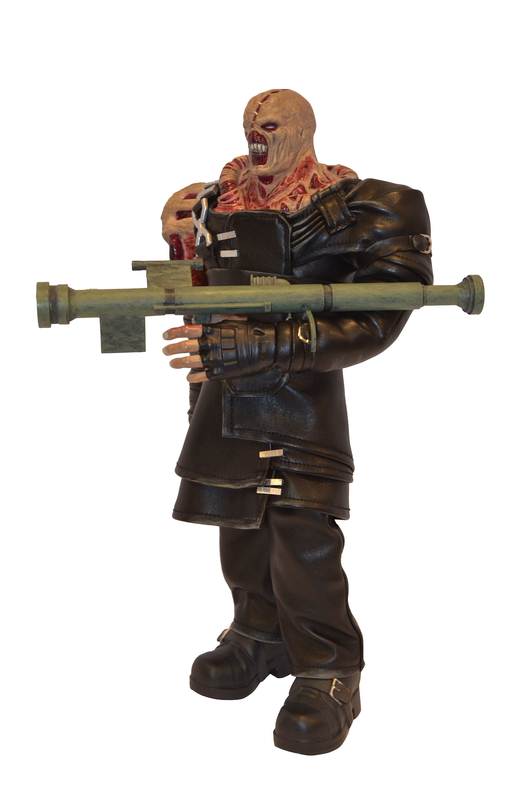 High quality rotocast, head, hands feet, bendable armature, PU fabric, Bazooka gun and closed box. 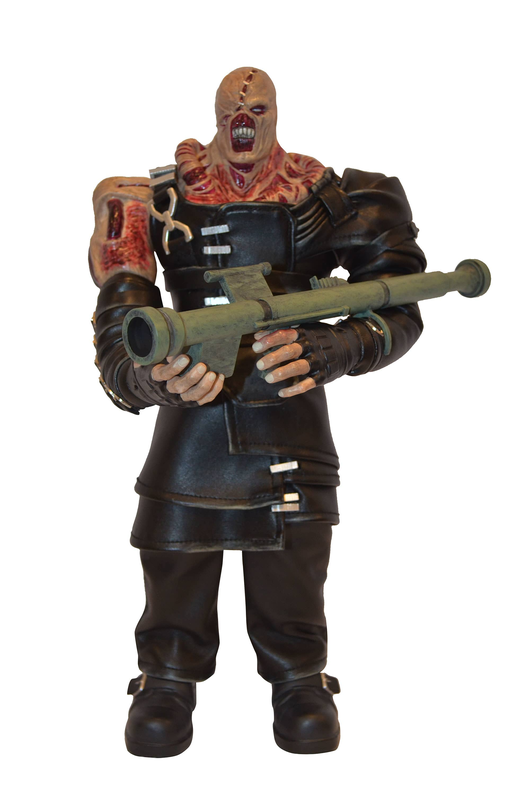 NEMESIS 15" SOFT STATUE - PVC head, hands, feet, poseable plush body in a 4C closed box.